Since his New York debut at Town Hall in 1985, Korevaar has performed in many roles, as solo recitalist, as soloist with orchestra, as chamber musician and collaborator, as well as (more recently) expanding into the world of theater and dance. He has performed throughout the United States, and he is heard frequently in his home state of Colorado. Internationally, he has performed at London’s Wigmore Hall, and around Europe from Riga, Latvia to Heidelberg, Germany. He is a frequent visitor to Japan, performing and teaching. 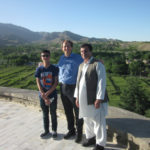 He has also performed and taught in Central Asia under the auspices of the U.S. State Department’s Cultural Envoy program. 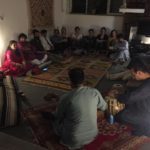 In May 2016, Korevaar spent two weeks teaching at the Afghanistan National Institute of Music in Kabul. A passionate and committed collaborator, Korevaar is a founding member of the Boulder Piano Quartet, currently resident at The Academy in Boulder, and performed for many years as a member of the Clavier Trio. He is a regular guest with the Takács Quartet, and has collaborated with other ensembles including the Manhattan, Colorado, Shanghai, and Chester Quartets. He continues to perform and record with distinguished colleagues including violinists Charles Wetherbee, Harumi Rhodes, Edward Dusinberre, violists Geraldine Walther and Matthew Dane, flutist Christina Jennings, among others. Korevaar’s most recent additions to his extensive discography are a Chopin CD for MSR Classics, featuring a compelling selection of the composer’s piano masterpieces, and a disc for Naxos with Charles Wetherbee of world-premiere recordings of works for violin and viola with piano by the Hungarian-born Parisian composer Tibor Harsányi. Korevaar is well-known for his Bach recordings, which include the Six Partitas, Goldberg Variations, and both books of the Well-Tempered Clavier. His explorations of standard repertoire include a discs of Beethoven Sonatas, Brahms Variations, music by Ravel, and more. He has also recorded solo and chamber music of Paul Hindemith (three discs), solo piano music by Ernst von Dohnányi, a disc of Fauré, and rarely heard treasures by French composers including Aubert and Roger-Ducasse from the University of Colorado’s Ricardo Viñes Piano Music Collection. His work with the American composer Lowell Liebermann has resulted in four CDs to date, including two collections of solo piano music, an album with flutist Alexa Still, and a chamber music compilation with members of the Boulder Piano Quartet and baritone Patrick Mason. David Korevaar’s interest in new music continues to be important, with recent premieres of works by Colorado colleagues Michael Theodore and Mike Barnett, his longstanding advocacy of the music of Lowell Liebermann, and performances and recordings of works by David Carlson, Robert Xavier Rodriguez, Paul Schoenfield, Aaron Jay Kernis, George Rochberg, George Crumb, Stephen Jaffe, Libby Larsen, Ned Rorem, Harrison Birtwistle, and many others. Korevaar has collaborated with Tim Smith on a number of Bach-related websites, now housed under the auspices of the Oregon Bach Festival’s Digital Bach compendium. These include in-depth explorations of the Goldberg Variations and the Well-Tempered Clavier. 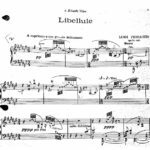 In May 2000 he received the Richard French award from the Juilliard School, honoring his doctoral document on Ravel’s Miroirs. 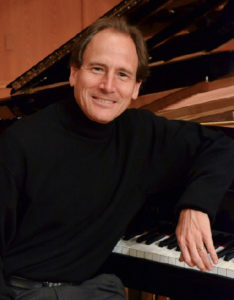 Other honors include top prizes from the University of Maryland William Kapell International Piano Competition (1988) and the Peabody-Mason Music Foundation (1985), as well as a special prize for his performance of French music from the Robert Casadesus Competition (1989). David Korevaar began his piano studies at age six in San Diego with Sherman Storr, and at age 13 he became a student of the great American virtuoso Earl Wild. By age 20 he had earned his Bachelor’s and Master’s degrees from the Juilliard School, where he continued his studies with Earl Wild and studied composition with David Diamond. He completed his Doctor of Musical Arts from the Juilliard School with Abbey Simon. Another important mentor and teacher was the French pianist Paul Doguereau, who had been a student of Egon Petri, and who had studied the music of Fauré and Debussy with Roger-Ducasse (a pupil of Fauré’s), and the music of Ravel with the composer.